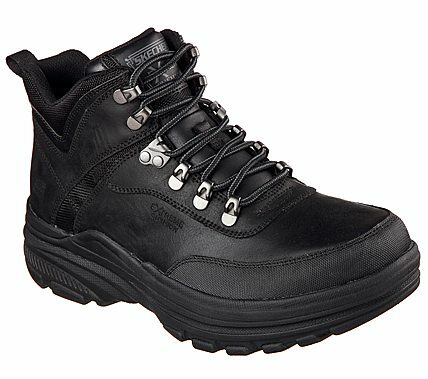 Traverse the terrain in comfort and rugged style with SKECHERS Relaxed Fit®: Holdren - Brenton boot. Lightly distressed leather, canvas fabric and cordura mesh fabric in a lace up ankle height comfort casual boot with stitching and overlay accents. Extreme Cushion midsole, Memory Foam insole.